In this video, Tara will show you how to knit a hat from start to finish. 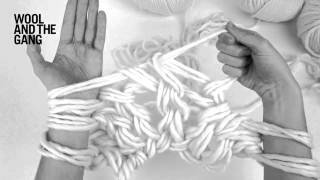 A perfect intro to knitting! 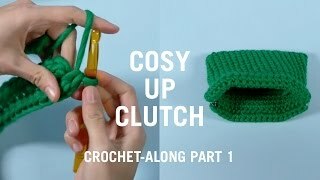 Find the end of your yarn and make a slip knot. Cast on with your yarn using the cable cast on technique. For this hat, you have to cast on 37 stitches. You can knit this hat in three different stitches - garter stitch, moss (seed) stitch or twisted rib stitch. We will walk you through how to knit your hat in moss stitch, alternating knit and purl rows. Then place the slip knot into your needle, forming your first stitch! Bring your right needle under your first stitch. Next, bring your yarn to the back and wrap it around your right needle clockwise. Now, scoop your right needle to the front, pull it through the yarn lop and slip the stitch to your right needle. You've knitted your first knit stitch! For a purl stitch, remember to always bring your yarn forward. 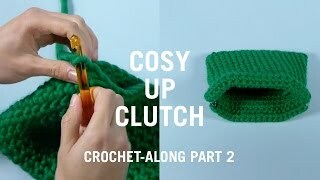 Dive your needle down and through the stitch on your left needle, wrap your yarn around it anti-clockwise, scoop the right needle out and slip your stitch on the right needle. You've just knitted a purl stitch! 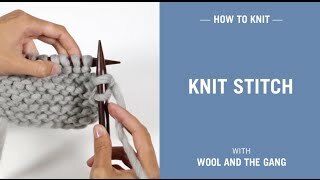 You've now done one knit stitch and one purl stitch, keep on alternating these two stitches, always remembering to bring your yarn to the front for a purl stitch. Knit for 28 rows. This is how your knitted piece should look like! Cut your yarn leaving a nice long teail, grab a knitting needle, thread a knitting needle with the yarn tail. Scrunch up the stitches on your left needle, and pull your knitting needle through the stitches on your needle. Give your yarn a tug, forming a drawstring. Insert your sewing needle under the first horizontal bar on the right edge and pull the yarn through. Insert the needle under the corresponding bar on the left edge and pull the yarn through. Repeat these steps until you've seemed up your hat. Turn your hat inside out and weave your ends in, staying close to the seam. Make a pompom using a pompom maker, secure it on your hat and you are all set!